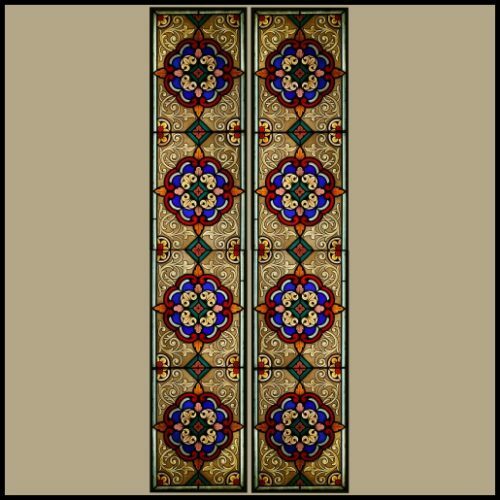 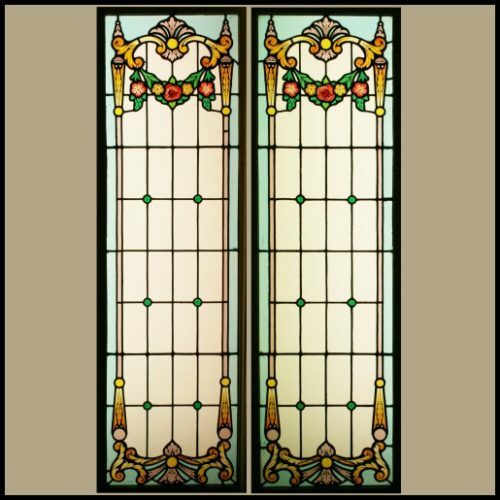 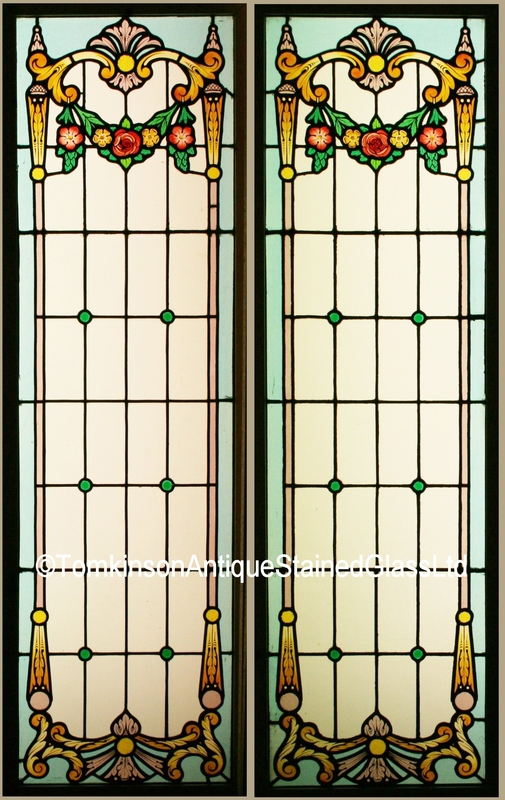 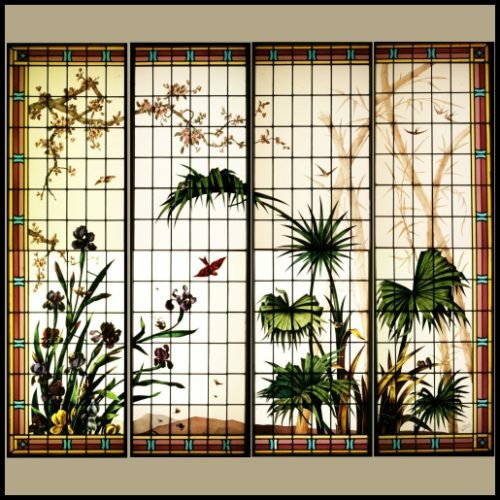 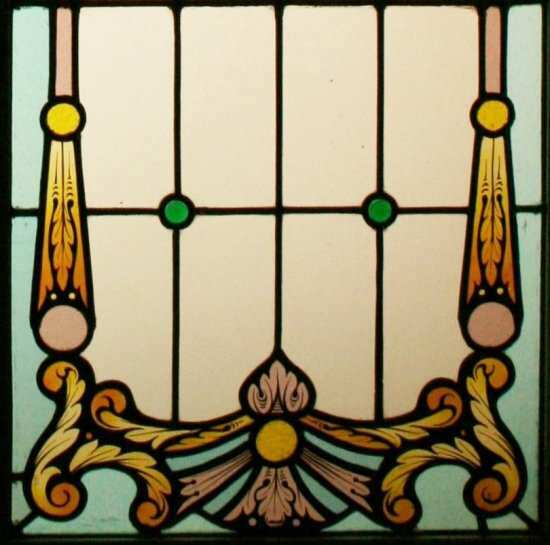 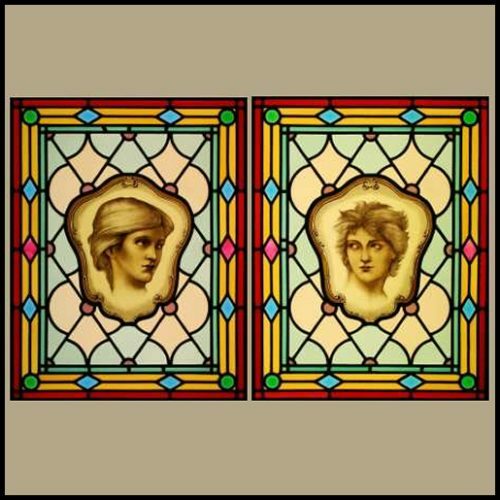 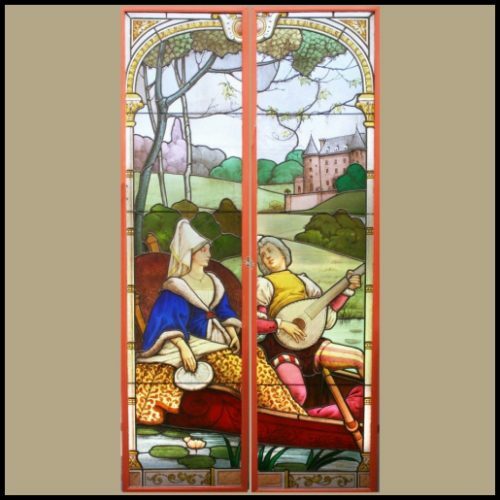 Pair of decorative antique stained glass window panels, c1900. 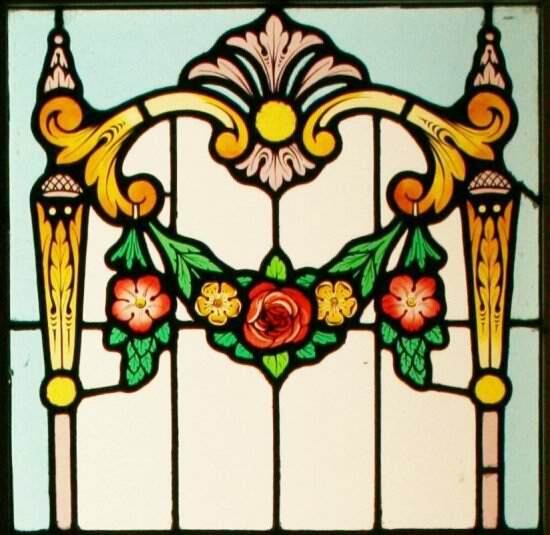 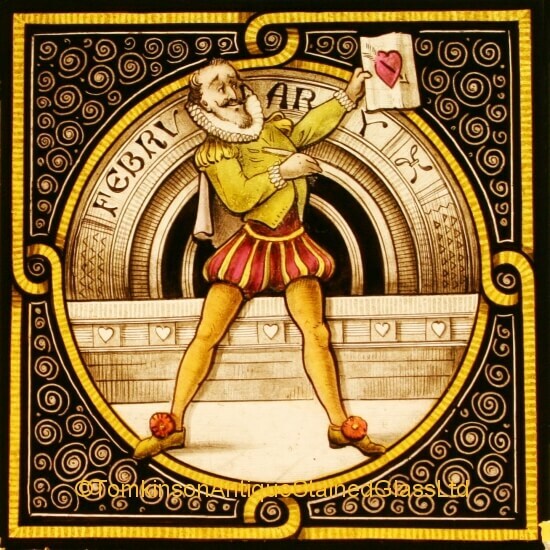 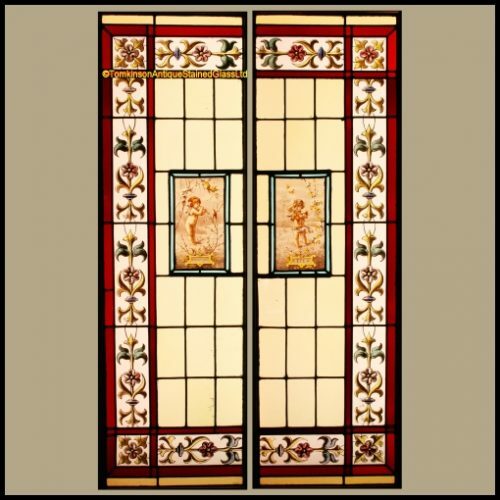 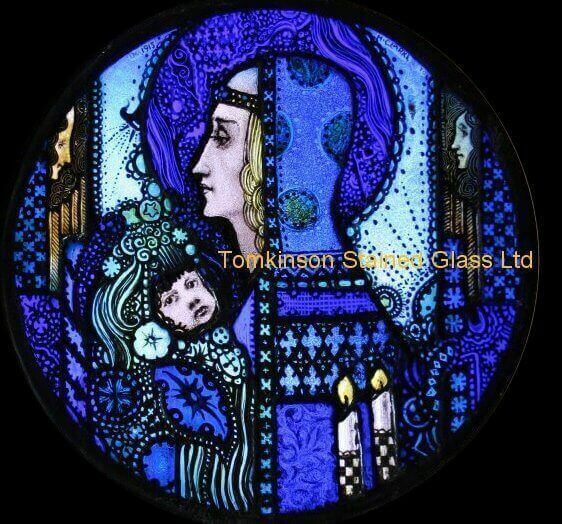 Each leaded with clear & coloured hand painted glass depicting garlands of Roses and Acanthus leaf decoration. 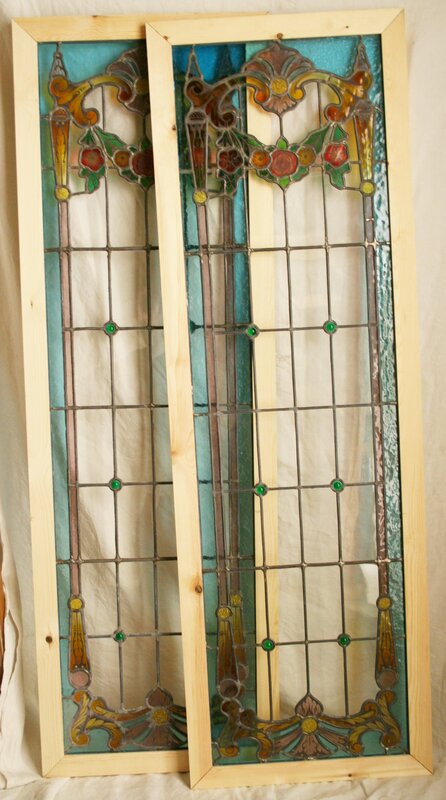 Also leaded with emerald green glass cabochons Slight lead strap restoration which has kept the panels in original condition.